When Should You Choose a Direct Hire Over a Temporary Employee? With unemployment at an all-time low, there are more jobs on job boards than there are candidates to fill these roles. Nowadays, companies must be proactive in making their job opportunities as appealing to candidates as possible to lure them away from the competition. In many industries, recruiting temporary and contract employees, and working with staffing firms in Dallas, Houston and Fort Worth have become desirable options to save on costs associated with full-time employment. However, there’s one option you shouldn’t dismiss – the power of direct hire placements. With direct hire staffing, you immediately bring on board candidates who are a tremendous fit and will grow with your company. Are you wondering whether this approach is best for your current hiring needs? Here are some of the benefits for choosing direct hire staffing over other staffing options. With a direct hire, you’ll secure an employee for the foreseeable future, as they’ll become a full-time worker on your payroll. If you believe you’ll need a new team member beyond the next three to six months, direct hire staffing is the way to go. Getting an employee on board – and investing in them as a full-time worker from the start – can result in significant onboarding and training savings. In the right situations, direct hire staffing can also be integral in reducing employee turnover, as you’ll be investing up front in a strong candidate for the position, rather than being forced to find a new candidate within the next couple months. In a market with historically-low unemployment, you may be better served by looking to direct hire staffing to fill positions that require highly-specific skill sets. For any job that’s highly specialized, investing in a person who’s fully equipped with the credentials and qualifications required may be the right decision compared to hiring a temporary employee. On the other side of the equation, a temporary employee may still be the best fit depending on how long your team needs these niche skills. If that specific skill set is only needed to fill a short-term staffing need or implement a new system or process. Many companies set aside the salary and benefits for a full-time employee, but need help finding the right candidates for the job. If your company is struggling to attract the right talent, it’s best to pursue direct-hire candidates through a staffing agency that can assist with the entire hiring process. By working with a staffing partner, it can be easier to find qualified employees by working on a direct-hire basis. Looking for a Dallas recruiting firm? 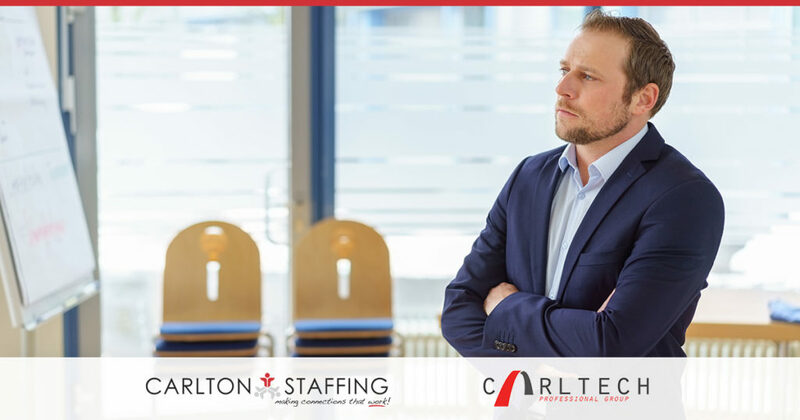 Carlton Staffing has remained committed to providing innovative staffing solutions to Houston, Dallas and Fort Worth companies for over 39 years. Building a trusted partnership with Carlton Staffing will help you reach your current and future workforce goals. Contact us today to learn more.